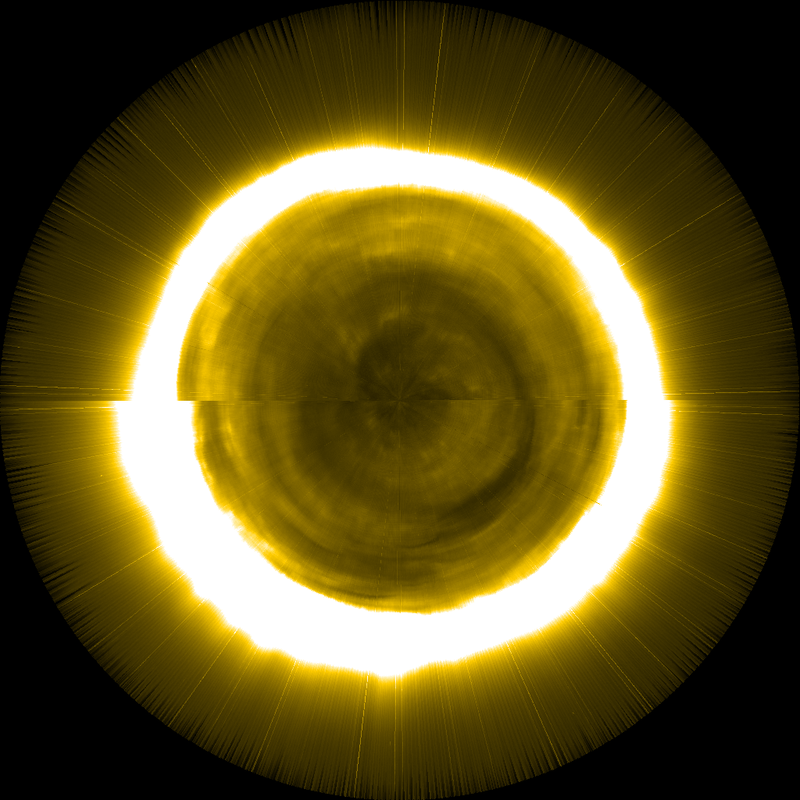 The SWAP average intensity (SWAVINT) corresponds to the average intensity of a calibrated SWAP image, normalized for exposure time. 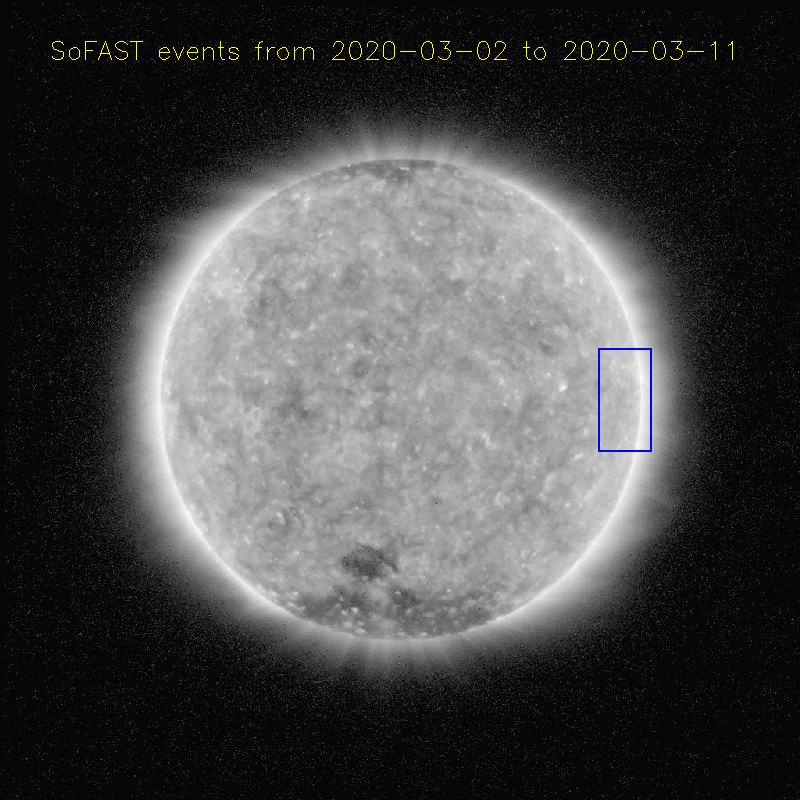 This quantity is calculated during the SWAP image calibration process, at the time when the data are fully calibrated except for the final image transformations that place the Sun in the center of the image and align the north of the Sun to the top of the image. where t denotes the exposure time of the image, P is the number of pixels which is 1024 × 1024 for the whole image, and DN is the data number in pixel i after calibration. The value for SWAVINT can be found as a keyword in the header of each SWAP level 1 file and its unit is DN/s. SWAVINT was, for example, used in studies by Kumara et al. (Advances in Astronomy, 2012) and by Yalim et al. (Advances in Astronomy, 2014). Both research teams point out that the limited dynamic range of SWAP make it less suited to study flares (compared to e.g. 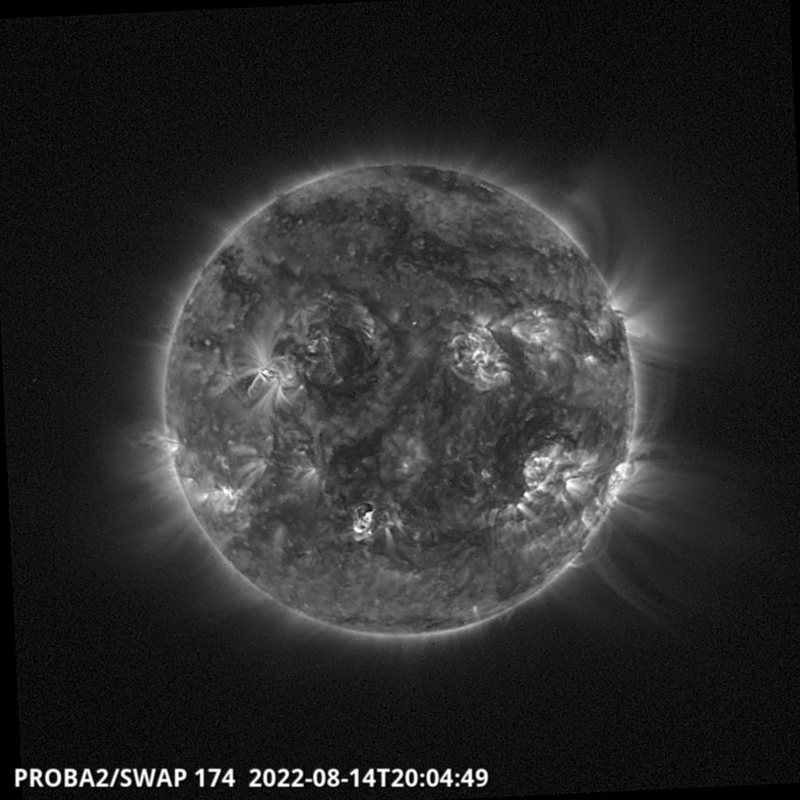 LYRA): in SWAP, flare pixels saturate quickly and as a result flares can hardly be seen in the SWAVINT curves. Additionally, Yalim et al. 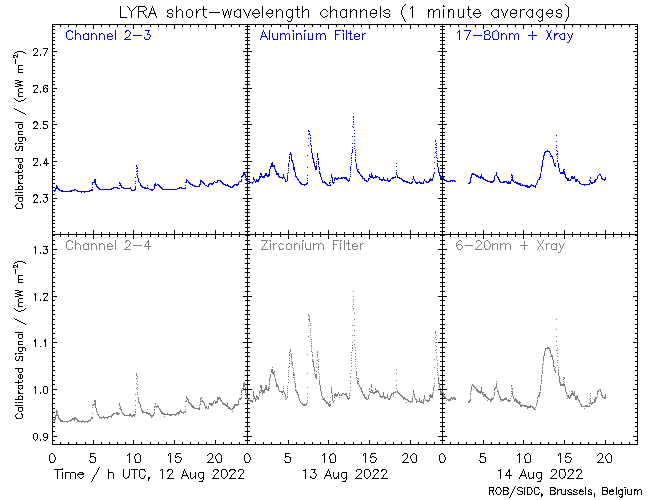 point out that SWAVINT can be regarded as a solar EUV irradiance channel at the SWAP bandpass centered at 17.4 nm and that the variations in SWAVINT (which do not contain the short-term spiky SXR response) have a very good agreement with the long-term background EUV response of the LYRA channel 2–4 data. Therefore SWAVINT can, in principle, be used to separate the SXR and EUV components of the LYRA channel 2–4 data. Halain et al. 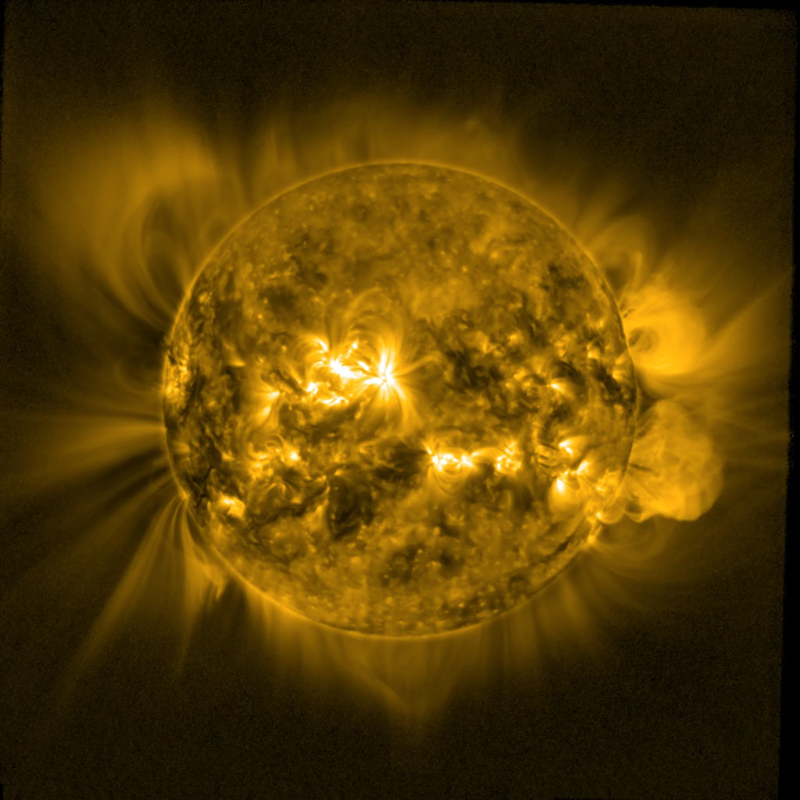 (Solar Physics, 2013) analyzed SWAP's detector response and compared the evolution of the integrated SWAP response over the course of the first few years of the mission to calibrated level-2 spectra from the EVE experiment onboard SDO. They concluded that there was no significant SWAP degradation during the first two years of the mission.